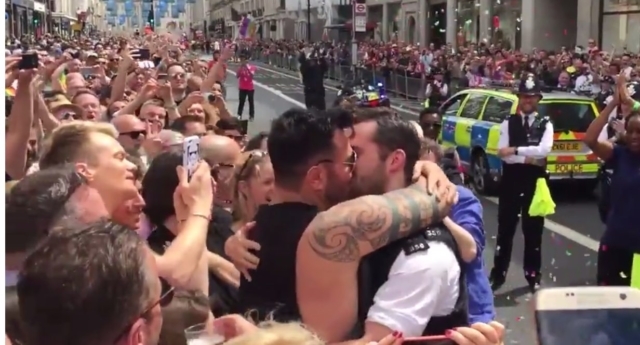 Adlem shocked his boyfriend when he stepped out from the parade in order to pop the question in front of thousands of people at last year’s event. His partner said yes and the pair shared a romantic kiss while the crowds were cheering. The clips of the proposal went viral instantly, but what should have been a happy moment of love sadly turned into abuse towards the Metropolitan Police officer. 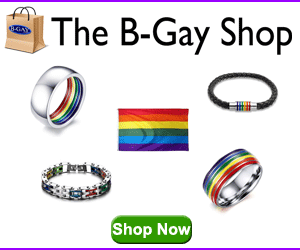 “To millions, I’m the policeman who popped the question at last year’s parade in London. But to many more I’m an abomination – and that’s why Pride is still vital,” he writes in an opinion piece in the Guardian. After the video went viral the couple received hundreds of abusive messages, many of them homophobic and insulting. “To suddenly be the focus of an international viral video was unexpected and surreal to say the least,” Adlem writes. “I had believed that it would stay within the Pride ‘bubble’, like similar things do every year. He added: “I looked through the online comments from the British public. Most were fantastic. Some made me laugh for the wrong reasons. “But my smile did not last long as I continued reading. ‘Both should be hanged till death’, ‘Absolutely disgusting’ and ‘Don’t blame ISIS if they strike them!’. “There were countless more, some with threats. A further hostile reaction at work from one of my colleagues and another from an old college friend was enough for me to wish I had never done it.